The Day of the Dead, or El Dia de los Muertos, is a holiday that celebrates our loved ones who have passed away. 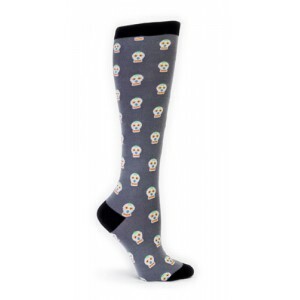 So wear this sock with love and remembrance, or wear it for the cool looking skull guy. Either way, we like it.